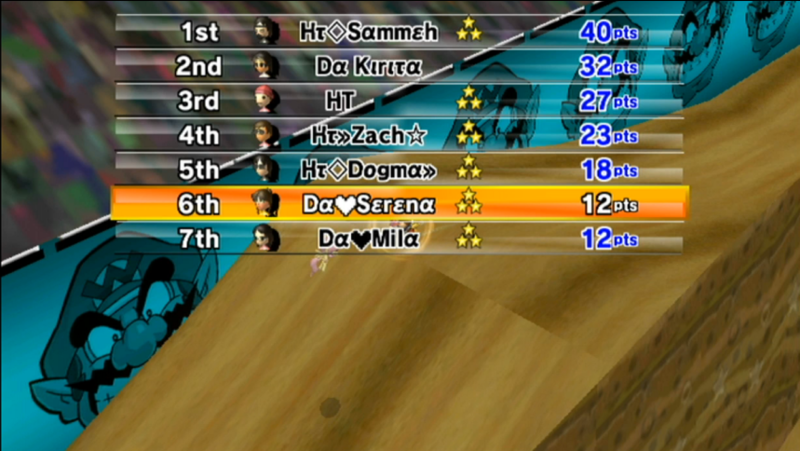 -Saria D/C'ed GP1, race 3 with 14 points (no pic) and missed one race so they get +2 (+3 x .7705 CSL multiplier for 4v4s) and wind up with 16 for the GP. 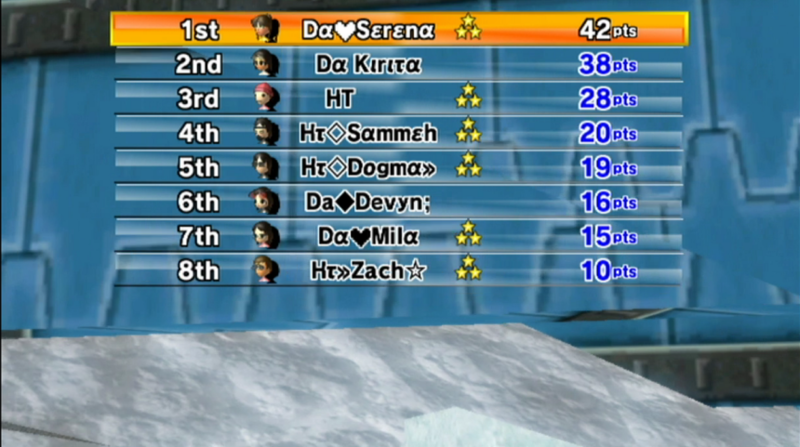 -Saria also D/C'ed GP2, race 3 with 8 points and missed one race so they get +2 (+3 .7705 CSL multiplier for 4v4s) and wind up with 10 for the GP. 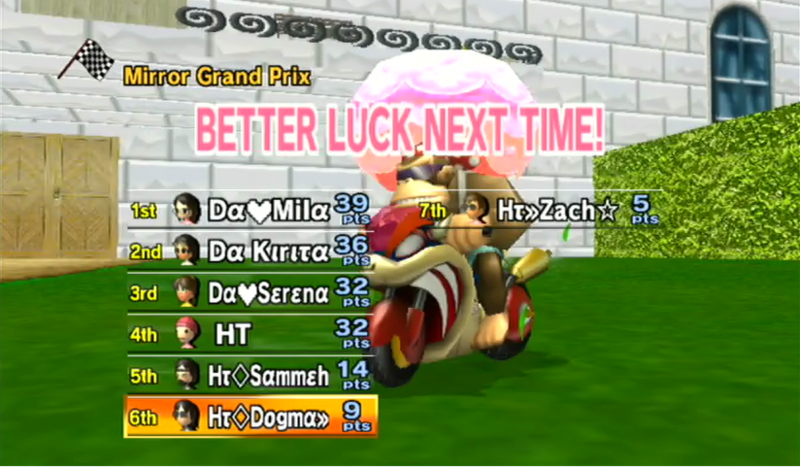 -Devyn subbed in for Saria during GP3.